Marc Marquez publishes on social a photo where he has just completed his motocross workouts, socials crucify him by emphasizing Valentino Rossi's injury and the low sensitivity of the Spanish pilot. Last night news came that everyone who loves MotoGp would never have expected . Valentino Rossi in an accident while training, fractured his right leg into the hospital. 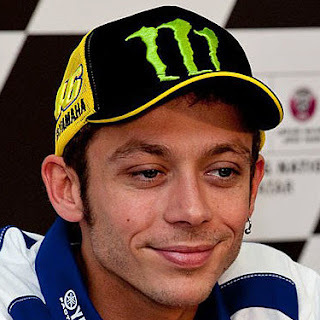 The operation suffered by the Doctor has been perfectly fine and will be 30 to 40 days of stop that Valentino Rossi will have to convalescence before returning to the saddle. The Yamaha driver is already shaken, but now it's time to rest and receive healing greetings, expecting to retire, presumably between two MotoGp races. But what made the web angry was a picture of Marc Marquez who has been on the Internet for some hours now. In fact, the Spanish driver has published on his social profiles a portrait that depicts him just after the end of his motocross training session. Marc Marquez for web users would therefore be keen to have little sensitivity to the Doctor in the hospital. In addition to not spitting a word against his fellow-rival, in fact, the Honda biker would have spotted the publication of the 'bad taste' picture at such a time difficult for Valentino Rossi . 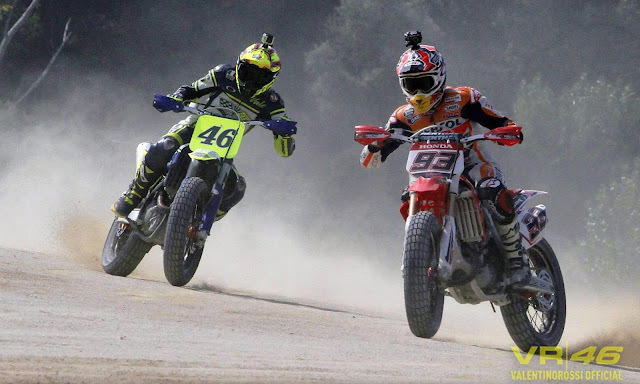 Users also confuse the fact that Marquez practices motocross and does not endure as stressed by the latter. But what have the haters reserved for Marc Marquez? From " You will be happy with Rossi, right?" "Up to" is not worthy of a champion teasing the misfortunes of his comrades. " The web is all about the Spanish pilot.